We have many lifetimes, an infinite amount to achieve this purpose (of soul growth). Each lifetime is a learning experience that we choose. Every aspect: our birth, what roles we will play out, karmic issues to be worked out, our parents, our country of origin, hometown, economic-social status, our bodies, our families, ethnic persuasion, beliefs, mental capacity, psychic abilities, constitutional strengths/weaknesses, soulmates, marriages, children, pets, livelihoods, lifestyles, vulnerabilities, talents, affinities, gifts, passions, challenges, addictions, persuasions, preferences, diseases, handicaps, injuries, wounds, accidents, intentions, relationships, friends, hobbies, incarcerations, triumphs, achievements, afflictions and spiritual goals, are ALL chosen by us—for purposes of soul growth. This is not a random universe. We are part of a beautiful and grand design. We have free will here to choose—and we do—BEFORE incarnating into the next lifetime. We review where and who we have been thus far and decide what we want to accomplish in our next go-round. And then we choose which scenario feels like a good fit for those goals we have in mind. And off we go into that little fetus waiting for our entry in that warm Mummy tummy and down the birth canal we go, right on time for our next earthly gig. We don’t arrive here by accident. Some souls just come in to get their big toe wet, and go right Home again, such as in the case of infant death. A practice run. All part of God’s magnificent plan. 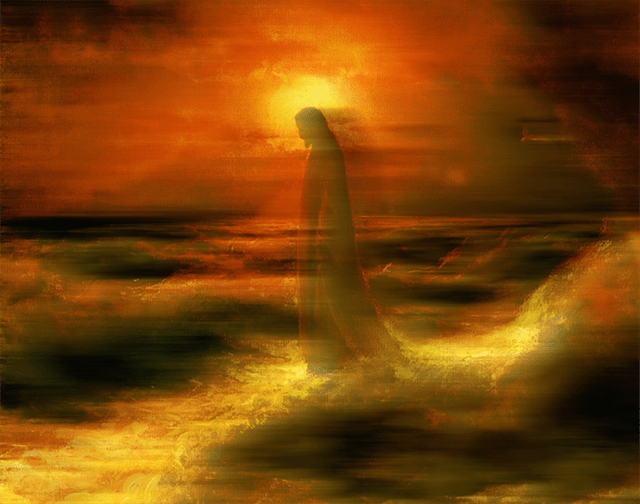 The life of the soul, the part of us that is God, is eternal. And dying is the easiest thing you’ll ever do. It’s being here in 3D, in these dense bodies that’s the challenge! Well, we are moving, dimensionally-speaking, into 4D and 5D currently. And it goes even higher. All in good time, of course. It’s going to get a lot better! He wasn’t just whistlin’ Dixie. Sometimes it takes a gentle, perhaps even preplanned, nudge from a beloved—a reminder knock on the door to our soul from someone in our soul tribe—to get our attention. And occasionally (for the slow-to-move and recalcitrant types who have been programmed to shut out our Light and operate at a lower frequency in order to fit in, please others and receive but crumbs of the Love and Light on every level that we actually long for and deserve), a loud knock, giant gong or a swift kick in the keester to knock us awake again from what we’ve settled for—our robotic earthly treadmill trance of undeservedness. And, as I know you know, being here is not easy. We, especially the sensitive ones, need a little help at times to reclaim our own worthiness and release the shadow cloud that has blocked our Light from full shining. An awakened soul is one who remembers his/her own magnificence! Who we ARE and what we came to BE. God wants us to be happy and play in the sunshine a while. The beautiful part is we have an eternity to get it all done. So what’s your rush, Bub? Take off your coat and stay a while. Enjoy the ride. But some of us are tired of the grind and in a hurry to get it all done, because we are eager students and more than ready to move past the suffering, and elevate ourselves into the Love and Light place that exists beyond 3D. Something in us knows that it’s a lot more fun to be happy, joyous and free. That part of us that remembers home. Some of us have lived thousands of times, and not always here. Earth is not the only game in town. There are other far more evolved places in galaxies far, far away. But earth is prime real estate. And a great place to learn the creation process from the ground up. It’s a good school. Nothing that happens is by coincidence. It is all a choice; and our choices, all of them, stem from our beliefs about ourselves. What we think we deserve to have, what we truly and fervently desire, and what we need in order to grow and evolve our ever-expanding souls. All part of the divine plan, which is Joy. Your greatest enemies and button-pushers are your greatest teacher. You set it up that way, by mutual agreement. What they are here to teach you, the knowledge of that which lies within your own consciousness when asked for, tapped into and made known, is how you learn your own worth, love your own self, apply the Golden Rule to you and grow your soul. You can remain clueless only for so long if you want to progress. The timetable is up to you. You will forget all this. Oh, wait—you already did. Then you will remember it again. One day, when you feel like it. Just like that. The, when you get Home, you will shake hands with and hug all your team players, and thank them for playing their roles—oh, so well—so that you could evolve and ascend. Then you get to have the fun of who plays who the next time around, if that is your choice. Or, you might be done with Earth for now and decide to hang out at Home for awhile, and take naps in fields of buttercups with your beloved dog you are so happy to see again, and watch Jack Benny reruns and then have a good laugh with Jack himself! Or sit on a cloud and listen to the Angels singing (while) holding hands with your Twin Flame. You might opt to go to some other star system for awhile and visit old friends. Here’s a delightful short discussion of reincarnation by Abraham and Esther Hicks. It makes life easier when you look at it this way. It makes me think of a beautifully illustrated little book Neale Donald Walsch wrote a number of years ago called, “The Little Soul and The Sun” (http://loving-wi.se/The_little_Soul_and_the_Sun.html). God is good and life is too? It’s all good. Thanks very much, Pat. I remember that delightful little book Neale wrote all those years ago. You’re welcome, John. I’m glad you remembered it. We are the Light of The Living God. All That Is exists in each of us and in everything we see, touch, feel. It is in the breath of the wind, and in the sparkling water of a mountain river. It is within the playing squirrels and the hunting cat. It is everything and everyone at once. We accepted and asked to Be and so we are granted the awesome gift of this life. We are learning that we are magnificent Beings, gods and goddesses in training, creating lives that are free to roam their own existence as we are. It is a joy to Be. Thanks very much, Jeannie. I love the images you create here! I absolutely LOVE this post….So full of truth and humor and love. Thank you Swami Magee and as always, thank you John! Thank you very much, Beth, for your kind words. This was just delightful! Thank you, Martha Magee. And thank you, too, John. You’re most welcome, Toni. Thank you for your kindness.